business information at one place, tracking leads or opportunities, managing your marketing campaigns, planning your team activities and generating reports, everything can be achieved with Savvy CRM Features.Sales Force Automation through a telephone call or from your website contact us form or through advertising, trade fairs, purchase lists or referrals, don’t miss any business leads that coming your way. Easily automate the lead data integration into your Savvy CRM, Nurture them and make them your revenue generating customers. Once you sense the opportunity from your new business leads or existing customers, track and follow up them through our efficient communication channels till you make them into your Sales Orders. Savvy CRM automate and manage your marketing activities efficiently to drive highly qualified leads for your business. Its Create and track highly targeted marketing campaigns. Manage end-to-end mass email campaigns, including target list management, content personalization, and auto-unsubscribe capabilities. Have real-time insight into campaign performance including email open and click-through rates. Savvy CRM also allows to execute mass e-mail campaigns. 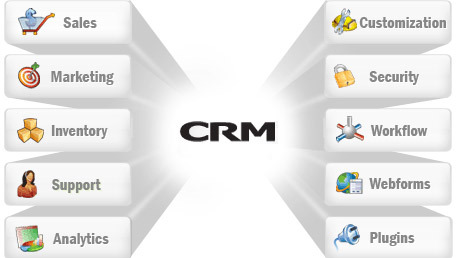 Savvy CRM helps you to manage your customers, dealers and vendors all through a centralized contact database. Manage and view customer associated tasks, events, notes, opportunities, deals and all kind of communications that happened with your contact right inside from the contact page. Also easily segment your customers for opportunity tracking and targeted marketing campaigns. You have no time to sit and go through huge number of your business transactions to know what’s happening in your business currently. No worries. Our Dashboard & Reports help you to do that. Be it a planned demo, scheduled meeting or support call with your customers, manage and track them easily with our activity calendar. In addition to that planning and assigning tasks related to customer support activities can also be managed seamlessly. Savvy- CRM is primarily meant for Manufacture,Traders, Post sales Service providers. Therefore the key modules are a few, which would include the procedures starting from Lead Management to Supplying the item to a client to manage its post sales complaints to warrantee, AMC management. Therefore our application can fit into any market and open for further customization. Some key features or modules are listed below.